It’s easy to get caught up in the middle of the morning with an arm full of clothing and the uncomfortable feeling of having ‘nothing to wear’. On average, people actually use just 20 percent of what they own, while the rest is consigned to oblivion. To help people organize their wardrobes, we’ve selected some apps that use technology to create a virtual closet, helping the user to track inventory, and access outfit inspirations in a streamlined manner. Here are three options that help users take control of their closets. The Finery app allows users to submit their items according to category — dresses, tops, bottoms, shoes, and bags — with the option to create a look through the app or get inspiration from across the web. There’s also an option to bookmark favorite outfit inspirations and keep them in a wishlist. ClosetSpace offers cataloging options grouped by color, garment type, number of times worn and date last worn. This app also offers additional categories such as assigning outfits to a calendar date, while seasonal items, such as coats, can be archived in another section. 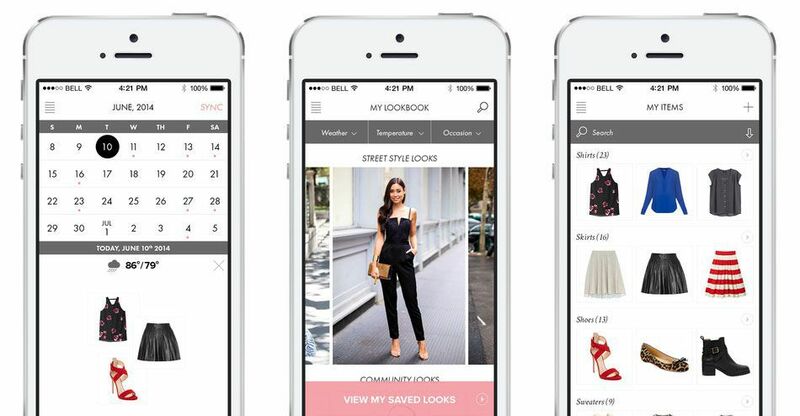 After snapping pictures of clothes, shoes, bags, and accessories, Stylicious lets you plan your outfits on a style planner – a convenient way to upgrade your style before spending on new items. Stylicious also includes a shopping tab with new arrivals and sale items.